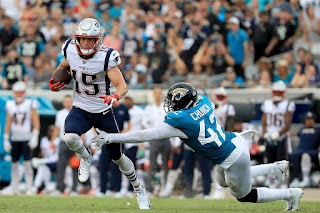 I was completely wrong last week, assuming that Brady would come out fired up to put the Jaguars back in their place after recent trash talk. At the risk of embarrassing myself again, I'm going to make a similar prediction once again. The Patriots almost never drop back-to-back road games, and I don't think they will this time either. With new addition Josh Gordon, the Patriots clearly outmatch the Lions defense. While Matt Patricia may know the Patriots offense like no other coach outside of New England, the effect goes both ways: Brady has been facing off against this defense in practice for years now. I think he has a good day to get back in the groove. Matthew Stafford, on the other hand, has been iffy against the blitz--a bad tendency against a more aggressive Pats D this year. He has receivers to target, but I think the Pats will dare the Lions to beat them on the ground instead. Stafford is a 2-QB play, but not much more than that if possible. James White is a great PPR play this week, but I'm hesitant to trust him with much more than a flex play in standard leagues. Until Sony Michel shows something more than 3.4 yards per carry in game action, I would keep him stashed on your bench. Detroit's Theo Riddick is in a similar situation to White--a decent PPR flex, but not higher than that (and benched in standard leagues). Nobody else in Detroit's anemic backfield is worth a start. 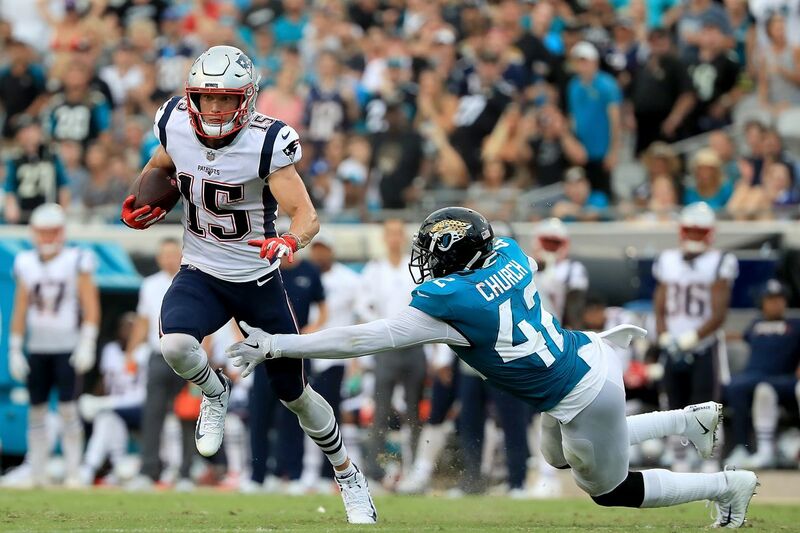 Chris Hogan snagged two TDs last week, taking over for a much less prominent Philip Dorsett. I expect better performances from both this week, but I think Dorsett should stay on the bench. As for Josh Gordon, this will be the first week to see how much of the offense he's absorbed. He might see 20-ish snaps, but Josh McDaniels will have to shrink his playbook significantly if he wants to get Gordon any touches. The Lions will probably be prepared for him on fades and simple route combos, so his impact could be minimal (outside of opening up coverage for other wideouts). 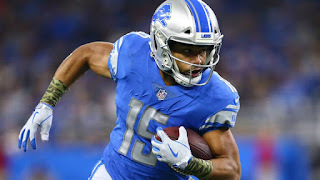 The Lions run much of their offense through Golden Tate, a standard-league starter and PPR stud. I think he has a solid-to-good day, especially if he sees coverage from the Patriots' #2 corners. Kenny Golladay is past the "fluke" label, but I'm still not confident enough to lock him in above a flex against this Pats defense. 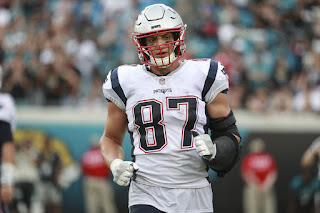 Start Gronk, obviously. This will be a big game for him after getting shut down last week. Don't start Luke Willson, obviously. 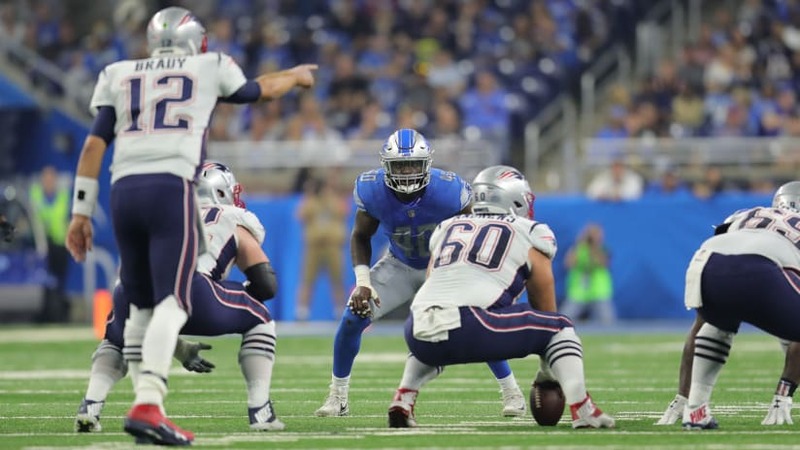 This is a prime opportunity for the Patriots defense to get back on track and force some turnovers against a high-risk player like Matthew Stafford. I like their odds to create some points off turnovers this week. On the other side of things, I would never bet against an angry Tom Brady. That means I would never start the Lions D in this situation. Stephen Gostkowski is still a starter, despite the miss last week, as is Matt Prater (who doinked two field goals in Week 1 but went 2-for-2 in Week 2). That's it for this fantasy breakdown. Enjoy Sunday Night Football, and Go Pats!